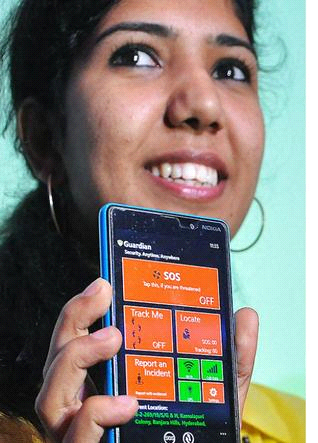 Microsoft launches a Guardian safety app for windows phone to provide a security for women at Anytime and Anywhere. It mainly focus on addressing societal challenges and in contributing the nation a safer place for all its citizens Incidents such as ‘Nirbhaya’ prompted the global IT giant to come out with an app aiming at protecting women, Microsoft IT India Managing Director Raj Biyani said. 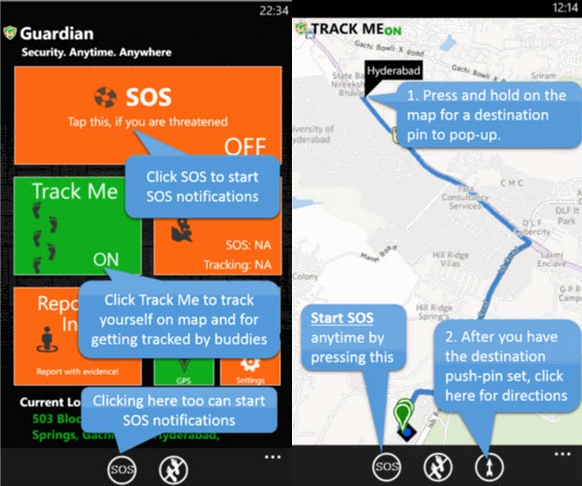 Explaining its features, Biyani said Guardian enables users to switch on a ‘track me’ feature in the app that lets friends and family track them in real time using Microsoft Windows Azure cloud services and Bing Map APIs. Guardian users can call for help through an ‘SOS’ alert button and also connect to security agencies, police and hospitals easily via this app in times of distress. The app was developed over six months by a group of enthusiastic Microsoft employees in India, within the Microsoft Garage. “Microsoft employees wanted to do something to enable people to feel safer in our cities. So they used their spare time to develop Guardian. It is a robust personal security app with more safety features and capabilities than any other comparable app available to Indian smartphone users today,” Biyani told reporters after launching the App. To use Guardian effectively, users need to add the names of friends, family members and security groups to the settings and in an emergency situation, the app can be used to alert them, via the SOS button. All the user has to do is tap the SOS button, a Microsoft official said. “The phone then sends a distress SMS to all buddy mobiles, notifying them of the emergency along with location details. At the same time the SOS button also sends emails to buddy email IDs and posts to private Facebook groups, if registered,” the official said. Guardian uses Microsoft Windows Azure cloud services and Bing Map APIs extensively and can help security authorities and medical teams track the user. The phone can be traced even if it is broken. The application is capable of one touch video recording that may be used later as evidence, the official added. 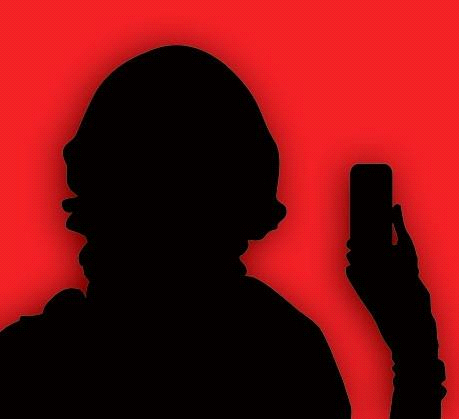 “The app helps women in distress by alerting their friends, families as a standalone app, as well as it is available as an integrated solution for Police or security agencies who can monitor distress SOS calls and provide help through a portal” wrote the team on the download page for Guardian. You can download Guardian for your Windows Phone devices from the Guardian Portal website.